Well, I knew it was coming but I wasn’t quite prepared for it to be now. But the standalone adventures of “Sonic and Steve Jobs at the Olympics Games” are now continuing with this wintery app now available on Apple’s store. 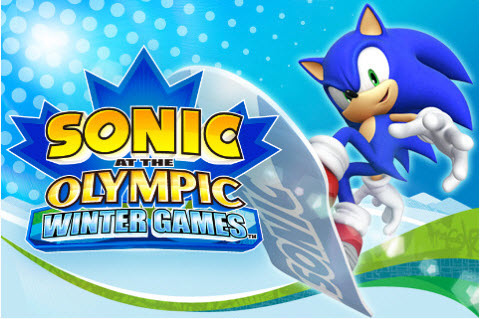 Sonic At The Olympic Winter Games features 10 characters: Sonic, Tails, Knuckles, Amy, Shadow, Eggman, Vector, Blaze, Metal Sonic and Silver and sports such as curling, figure skating, snowboard cross, figure skating and skeleton bobsleigh which you can do singularly or in a circuit mode. Shopping with rings is also added as is multiplayer believe it or not, through Pass & Play (thats handing it over to another player if you are confused), Bluetooth and Wi-Fi. You can find out full details about the game here. I’d love to give you more detailed European information about prices, etc, on the Blognik but anytime I even remotely mention the Olympics on there someone at some agency or the other makes complaints. Besides I’ve not received any specific Euro information at this time at this time. Looking at iTunes though its listed down as £2.99 for the UK and 3.99€ for the rest of Europe based on the price for Sonic bei den Olympischen Winterspielen in Germany. To go with the $4.99 price tag for the states – it looks really polished, some people are even saying it looks better than the M&S Winter DS – not so sure about that myself.